As an independent software vendor (ISV), functionality and integration have always been central to what you do. When a client commissions a new software application, your job is to make sure it works as expected. Yet, the scope of this responsibility continues to expand as more clients request payment integration with their projects. Not only must these applications work, but they also have to comply with PCI guidelines to maintain data security. In an age of unprecedented cyberattacks and hacking, this is no easy feat. In fact, many ISVs prefer outsourcing payment integration — rather than taking on any additional risk. Although this is an effective short-term strategy, it’s ultimately very limiting. Most businesses prefer end-to-end turnkey solutions devoid of interoperability issues. ISVs that understand PCI compliance will continue to enjoy the lion’s share of new opportunities on the horizon. PCI compliance is mandatory for any organization (and application) that processes, collects or stores credit card data. It doesn’t matter if your clients are for-profit businesses or charity organizations. If they fail to remain compliant, they could end up paying hefty penalties. In some cases, their merchant accounts may be terminated. That doesn’t seem very encouraging. 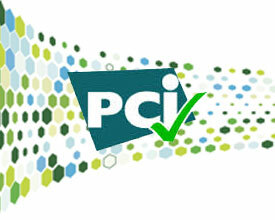 PCI compliance often seems complicated, and it certainly can be. However, there are a range of existing technologies that can dramatically reduce your client’s exposure to credit card fraud and abuse. Risk reduction is the whole point of PCI compliance. Another effective strategy is to use hosted payment pages that allow for off-site processing and verification. No credit card data is ever stored within the applications you develop — or in your clients’ payment environments. With no data stored, there’s nothing for criminals to steal. Hosted payment pages not only shield your clients from potential fraud, but they can also help reduce their PCI scope. With the right approach, you can integrate third-party payment options into the software applications you develop. With this strategy, you’re effectively “outsourcing” PCI compliance — while still providing your clients with complete, standalone solutions. Prime examples of this payment integration include Apple Pay and PayPal. If your applications work seamlessly with these platforms, your clients benefit from the functionality they desire and the fraud protection they require. For a more complete list of integrated payment modules, click here. Navigating the PCI landscape can seem challenging at first. The rules are constantly in flux, and there are so many moving parts. As a result, true compliance isn’t a one-time fix. It’s an ongoing process. This means you’ll often have to revisit older projects and update their payment parameters accordingly. Still, this is actually great news for ISVs that understand the terrain. If you can provide PCI-compliant applications, you’ll have a steady stream of new orders — even as more established ISVs struggle to keep their businesses afloat.